Smart City chief Setiaji gives GovInsider a virtual tour. Government operations centres are not commonly attractions on people’s weekend sightseeing lists, but Jakarta city officials hope theirs could be. 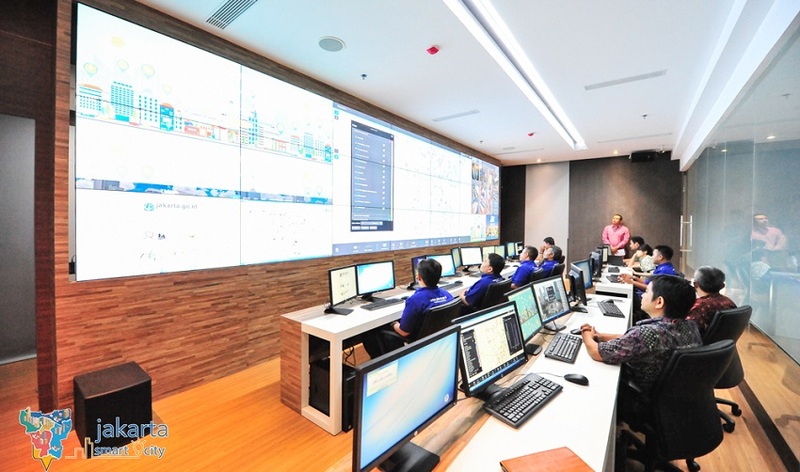 Jakarta has just launched a new command centre from which officials monitor the entire city on massive LED screens hooked up to the city’s CCTV cameras. And it wants citizens to come and have a look. 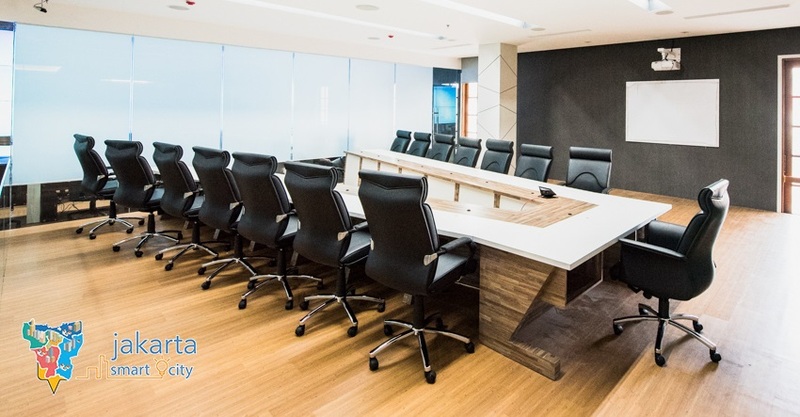 The command room is part of a new headquarters for all of Jakarta’s smart city activities called the Smart City Lounge. Lounge is an acronym, which stands for Learn, Open, Unity, Networks, Guidance and Excellence. GovInsider spoke with Setiaji, Jakarta’s smart city chief, to find out what happens inside. The command centre’s primary function is to monitor and respond to citizen feedback coming through emails, social media and the city’s complaints app Qlue. Officials respond to some citizens directly, but other reports have to be directed to agencies. “If any agency does not respond for long, we will call them”, he said. In the future, the goal is for the room to become a coordinating hub for emergency responses. Officials will be able to monitor all vital statistics from the room, getting data from agencies across the city. First the smart city team wants to get involved with fire rescues. The operations room will relay information on traffic conditions and location of accidents to firefighters. It will work with the utilities departments to ensure the electricity is switched off and there is water supply for fire hydrants nearby. Eventually the operations room will monitor all kinds of emergencies, working with the police and disaster management unit. Meanwhile, a co-working space in the Smart City Lounge is used by startups which work with the government to build apps. Jakarta is now partnering with six startups, Setiaji said. These include the makers of Qlue; iJakarta, an e-book reader; Qraved, an app to find restaurants; Appaja, a public bus app; and Ragunan Zoo, which guides visitors through the city’s zoo. The city picks startups which have won hackathons or that approach the government themselves. For instance, the smart city team is looking to work with the winner of Hackathon Merdeka held last month. It is also looking for a startup to work on electronic health records. On weekends, citizens can use this space by registering in advance. The Smart City Lounge is also where Setiaji and his team of data scientists, data analysts, programmers and surveyors work from. There is a separate room for the Governor and city officials to host meetings and press conferences. In the next six months, Jakarta will open an innovation lab in the same facility for developers to test and prototype public new services. The first test will be on smart parking, using sensors to signal available lots to drivers. The smart city team is also building a new system to analyse citizens’ complaints coming to the operations centre. “We will integrate all the channels to make sure we have knowledge of citizens’ needs. This will be used for planning and to improve our services,” Setiaji said. By end of the year, the operations centre will be fully operational, working 24 hours a day to monitor all emergency responses, he added. It will be manned by 21 staff working in three shifts. 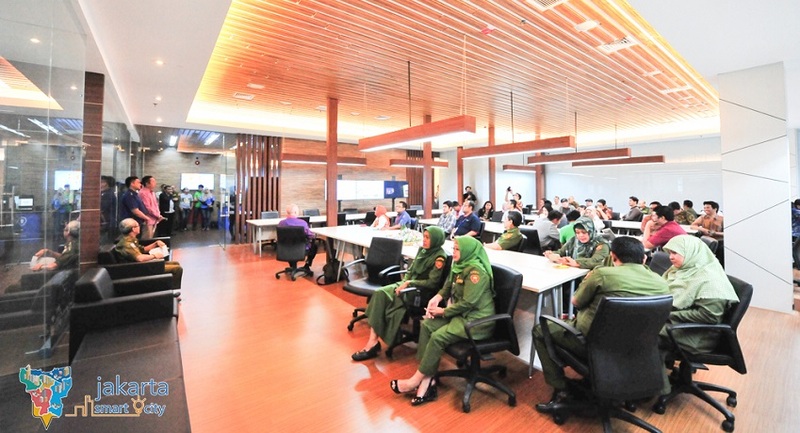 The smart city HQ opened its doors to visitors on 2 January. It is located in Jakarta’s City Hall and open to visitors on Saturdays and Sundays from 9am to 4pm. Everyone loves a good lounge, and the team hope that it’ll become the hearth of the city.